Home/General/Which should come first for SMBs – hosted VoIP or cloud? 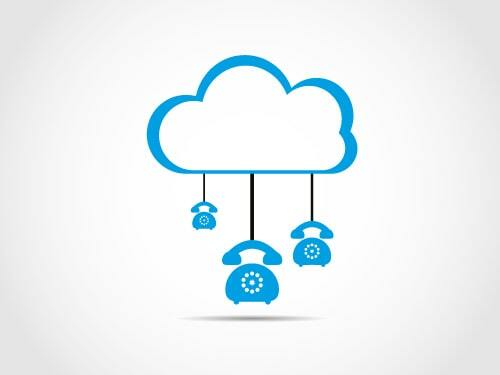 Which should come first for SMBs – hosted VoIP or cloud? Many SMBs are now adopting Microsoft Office 365 and other apps in the cloud services – but should they be moving their voice services to a hosted platform first? More small businesses are moving everyday software applications to the cloud. They are doing this because it makes sense. Productivity apps like Office 365 are offered on a pay-per-use basis, they are constantly updated, and with the apps and data stored in the cloud, they can be accessed from anywhere there’s an Internet connection. The UK government’s Making Tax Digital initiative, which will require all VAT-registered businesses to begin filing information digitally from April next year, will compel more small firms to take their first steps into the cloud. Yet while a lot of businesses are moving much of their everyday IT in this direction, many still hesitate to adopt VoIP services. This is an enigma, because there is really no difference between running applications and running voice through an off-the-premises, hosted VoIP service. In fact, it probably makes more sense to put the telephony services onto a cloud platform before anything else. The benefits are proven and can be seen almost immediately. Users are given access to extended functionality and have much greater flexibility. Wherever they have access to an Internet connection, they can make use of the VoIP system, and be available on their usual number. The business can operate from anywhere, so in this sense, a hosted voice service provides an immediate and very important element of any business recovery and contingency plan. Costs will be reduced, and this will be visible almost straight away in the form of reduced overall charges. This will be especially true for a business that makes a lot of international calls or one that has been getting staff to use mobile phones when they are working at home. The business will have better visibility and control, over staff and costs. It will be possible to see in much more detail how much time is being spent on different calls and isolate the cost of managing individual customers or activities. Efficiency and service levels will be enhanced, as customers will always be able to contact individual staff members on their usual numbers, and the business as a whole should be faster on its feet. That may also have a positive, knock-on effect on morale and competitiveness. All of these benefits can be realized very quickly and most of them can be measured with some accuracy. Businesses can get a good idea of your return-on-investment quite soon after starting a hosted VoIP subscription. While cloud-based applications and services also deliver many benefits, they may not always be as immediate or apparent. In terms of flexibility and business contingency, they are more or less the same – apps can be used and data accessed from anywhere. If costs are going to be reduced, that may not always be as immediately obvious. In fact, with some cloud services it can, on the face of it, look like it will cost more to run software on a pay-as-you-go basis. You do, however, also have to consider the decreased burden and cost of managing applications, user licenses and updates, so it’s not such a simple equation. Using a cloud service will also make a business more efficient – and indeed, it may be necessary to comply with regulatory requirements, as it will be with Making Tax Digital. But overall, the benefits are not as immediately clear as they would be with a hosted VoIP service. It may seem odd then, that some SMBs are moving business apps to the cloud before they adopt digital voice services. There are three reasons this is happening – momentum, perception and awareness. First, and perhaps most importantly, the trend to migrate apps to the cloud has well and truly taken hold. It has real momentum now. In addition, voice and apps are considered to be quite different by most businesses – voice is seen as having a more physical aspect, as it usually involves picking up handset, whereas software is seen as more of a virtual and conceptual idea that exists only within the computer system. Finally, the level of awareness of cloud is much higher. While most businesses have heard of VoIP, intense and sustained promotion of cloud apps has been such that more businesses see it as a priority. In fact, they would benefit just as much, if not more, from prioritising a move to hosted VoIP which, in the final analysis, is really just another cloud service. The direction in which all IT and communications are headed is not in question, it is just a matter of which services businesses choose to adopt first. A coffee lover. A geeky dad who loves nostalgic games. Been doing SEO and internet marketing for years now and quite enjoying them. When I'm not working, I'm certainly watching an EPL game!